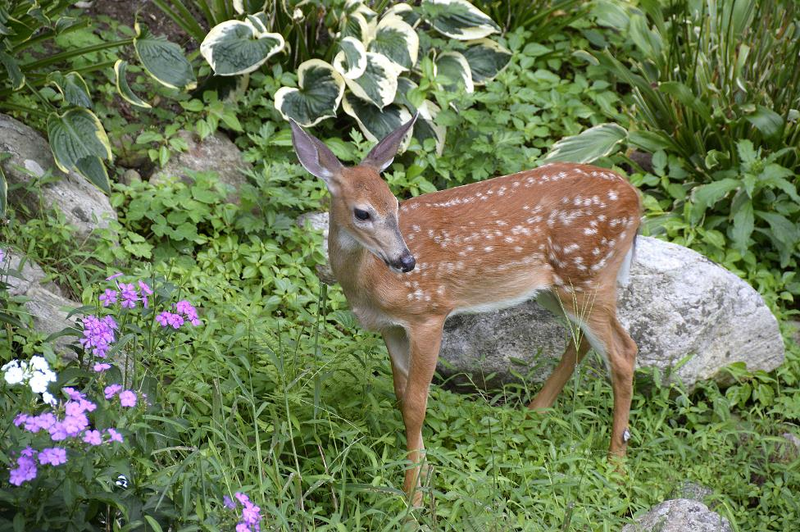 Keeping wildlife out of the garden is a top priority for many gardeners. Neighborhood rabbits, groundhogs, deer, and other common animals can really take a toll on your garden’s output. Find out what solutions are available, and end the frustration with Jobe’s ideas for humane animal barriers – ranging from catch-and-release traps to fencing and netting. To protect against animals, build a raised bed from wood, concrete, stone, hay, bricks, or sandbags. The walls must be at least 18 inches high to keep groundhogs, rabbits, and gophers out. You can block the deer population’s entry with fencing or netting, but be sure to bury it six inches into the ground to prevent smaller animals from digging their way under it. In addition, make sure there aren’t large enough openings in the fence for them to get through. At Jobe’s, we provide a wide variety of products designed to prevent damage by wildlife without causing them any harm. Try our deer barrier, equipped with lightweight black mesh to wall out deer. For other uses, go with our garden fence, multi-use netting, or BirdBlock® (which combats not only birds, but also deer and small animals). These traps offer a humane way to get regular visitors off your property. Groundhogs are good candidates because they tunnel and climb their way into gardens. Use chunks of cantaloupe to lure the critter into a trap, then take it a few miles from your home for release. Possums and skunks prefer peanut butter; warn the latter with a soft voice, and completely wrap the cage in a blanket before moving it. This will soothe a nervous skunk and prevent it from bathing you in its scent. Protect melons and other produce by wrapping them individually in closed cylinders made from hardware cloth. Or make a critter cage from poultry netting; this option protects plants or beds from animals. Fashion it into a box by cutting into the corners to make flaps. Push the bottoms into the ground to secure. Some plants repel animals as well. Prickly or thorny plants create barriers for many types of animals. The smell of marigolds is a turn-off for rabbits, while daisies and poppies keep deer and rabbits away. Whether you opt to catch animals with humane traps, plant natural deterrents, or protect your plants with fencing and netting, our suggestions will help you stay critter-free all season long.